Which accessories are available for the product? Is there a recommended sequence for turning on the projector and other equipment? Can I use the product over a remote IP or the Internet to transfer files? My displayed image appears jittery or shaky when I connect a DVD player to the projector's Video port. What should I do? Can I monitor or control my product from Windows Explorer on a Windows computer? 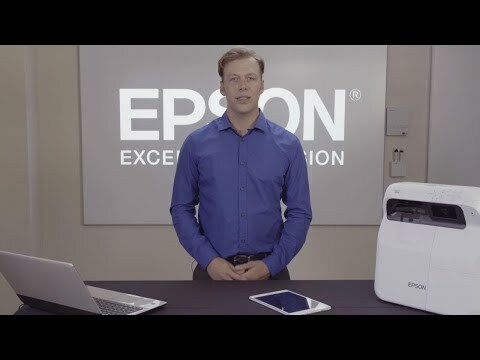 This document contains quick setup instructions for this product , and your Epson America, Inc. Limited Warranty (warranty valid in the U.S. and Canada).